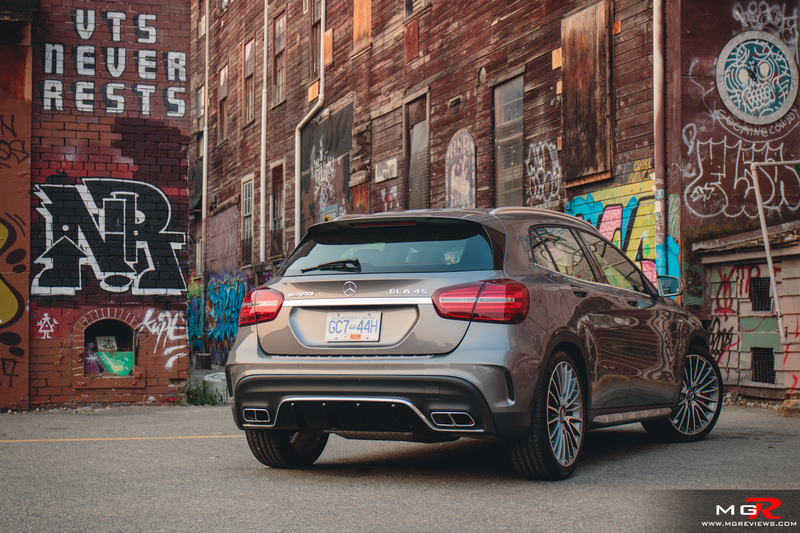 The GLA class is technically considered a crossover SUV but looking at it you’d be forgiven for thinking it’s just a high riding hatchback. 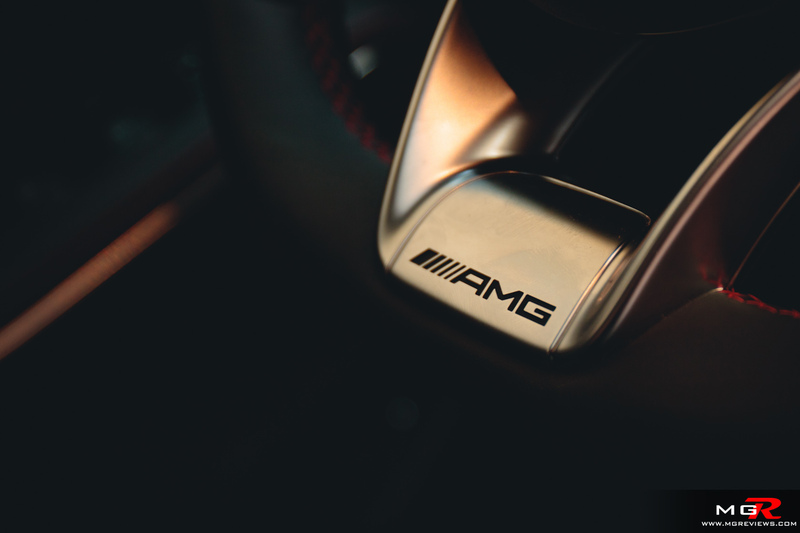 Nevertheless Mercedes-Benz made it and the people at AMG got their hands on it. Now it sits in a class pretty much to itself. 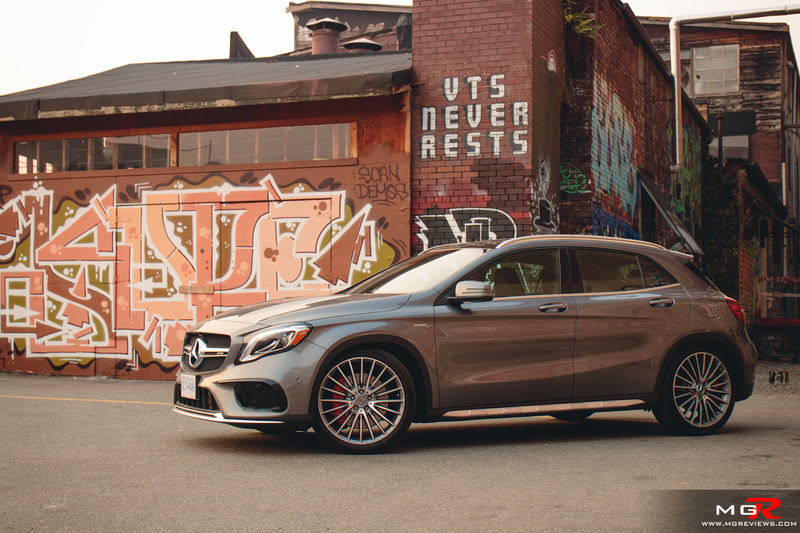 The only other cars that it competes against are maybe the Porsche Macan, Ford Focus RS, and maybe even the Honda Civic Type-R.
Engine – Powering the AMG version of the GLA is a 2.0L 4-cylinder engine. Guess how much power it produces? … Nope, you’re wrong. 375hp and 350 lb-ft of torque from a 2.0L! 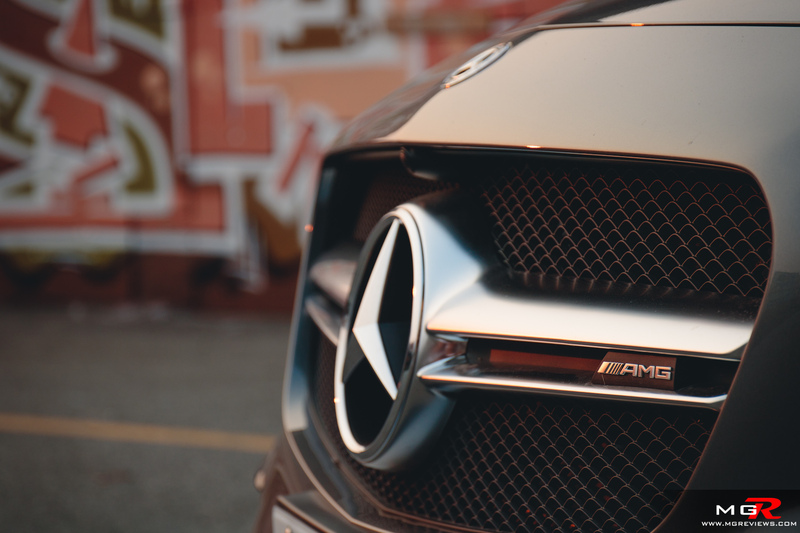 That’s rally car power and the Mercedes-Benz GLA 45 AMG comes with a 4 year warranty. Although it uses a twin-scroll turbocharger, you don’t really feel the power pin you to the seat until about 2,300 rpms. After that mark, the engine pulls hard until the redline. In addition to the pin you to the back of the seat acceleration, this engine also produces a very nice exhaust note that adds to the excitement. 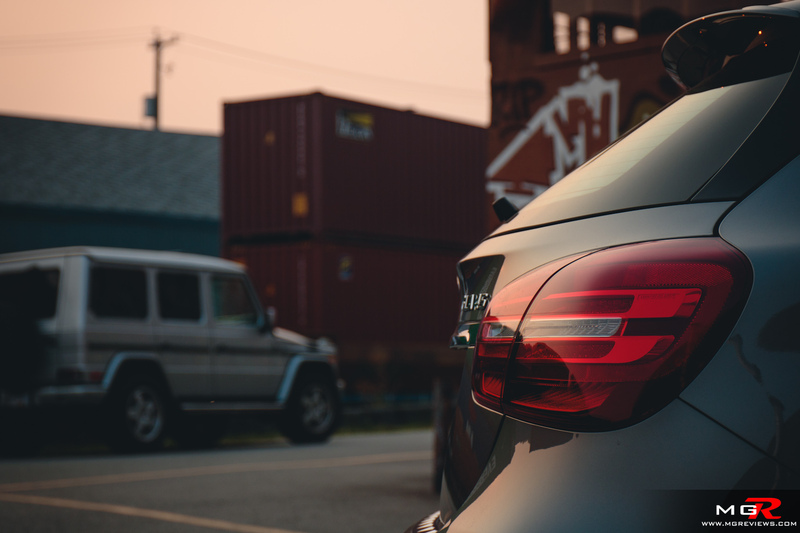 Between approximately 3,500 and 6,000 rpms, the engine develops a throaty 4-cylinder note with crackles when you let off the throttle. It also pops and bangs between each upshift. Even on a dreary, mundane Monday morning, this engine will put a smile on your face. With such an enthusiastic little engine, you’d expect the fuel economy to be very bad. But it isn’t. Even with my childish driving manners in the week that I had this car, I averaged approximately 11.6 L/100km during a combined city/highway drive cycle. That’s pretty good fuel economy for a 375hp “crossover”. 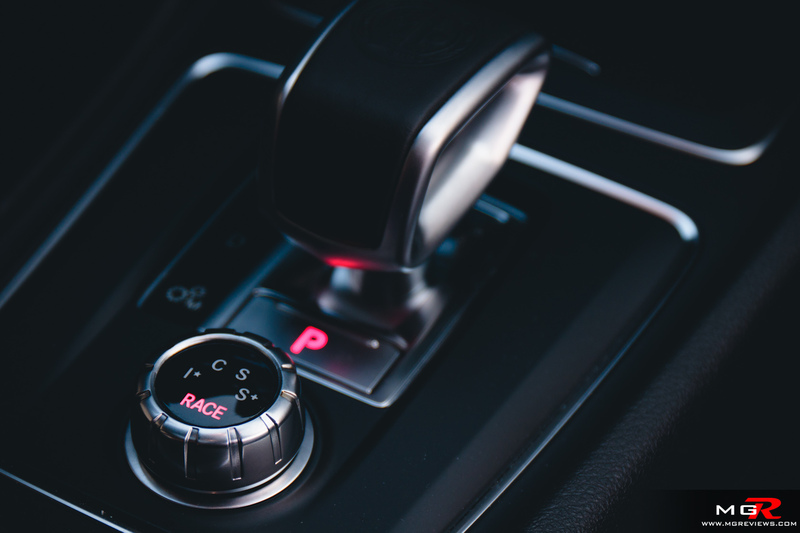 Transmission – A 7-speed dual-clutch transmission is mated to the 4-cylinder engine and it is one of the fastest in the world. I still think that Porsche’s PDK is just ever so slightly faster at responding to a pull of the paddle on the steering wheel. But this Mercedes-Benz transmission is just fine for about 99% of GLA45 AMG buyers. The only gripe I have with the transmission, and I am nitpicking, is that it can be smoother at slow speeds around parking lots or in stop/go traffic. 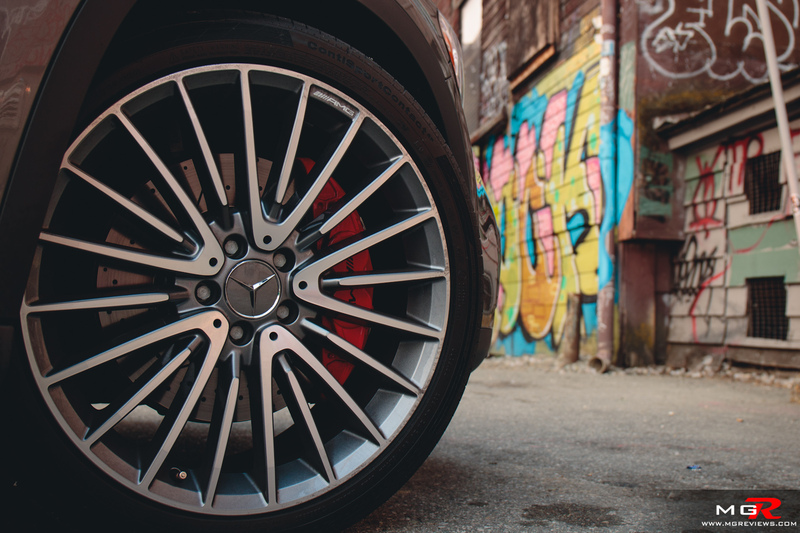 Brakes – Big, and very red, 4-piston calipers on the front do most of the work of bringing the Mercedes GLA45 AMG to a stop. They have good initial bite and have no sense of fade even after repeated use when you’re going down a mountain or on a race track. Handling – While it technically is a small SUV, it handles nothing like it. It feels like a hot hatch. 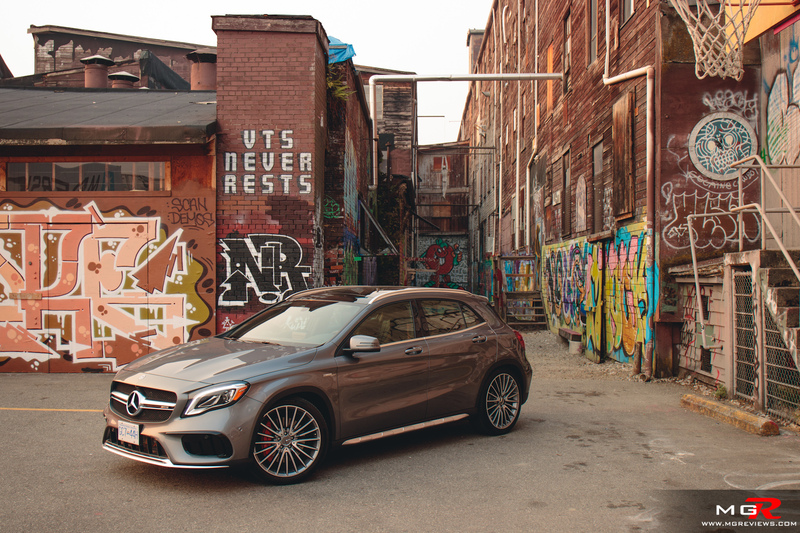 The AMG tuned 4MATIC all-wheel-drive system coupled with the grippy tires and tuned suspension make the GLA45 a blast to drive quickly around mountain roads. 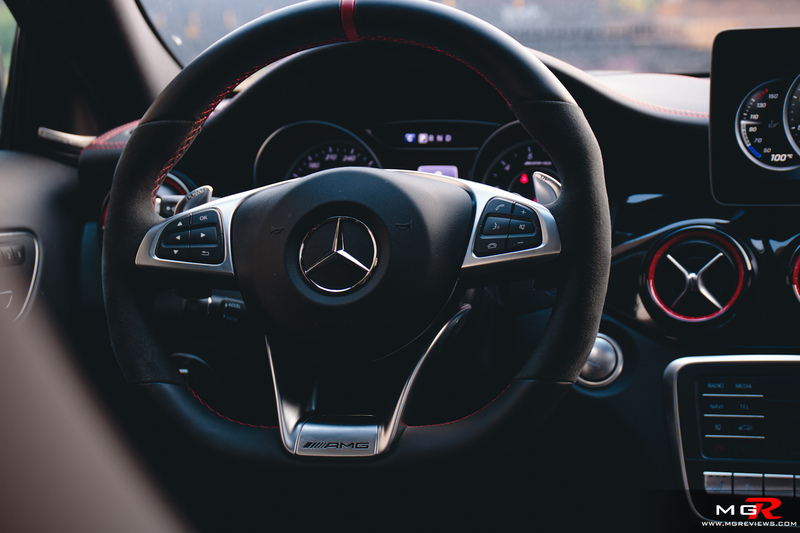 The steering wheel has a good weighted feel and provides ample feedback from the front wheels. Push it hard through corners or exit a corner under boost and there will be understeer but the AWD system manages it well to reduce it. 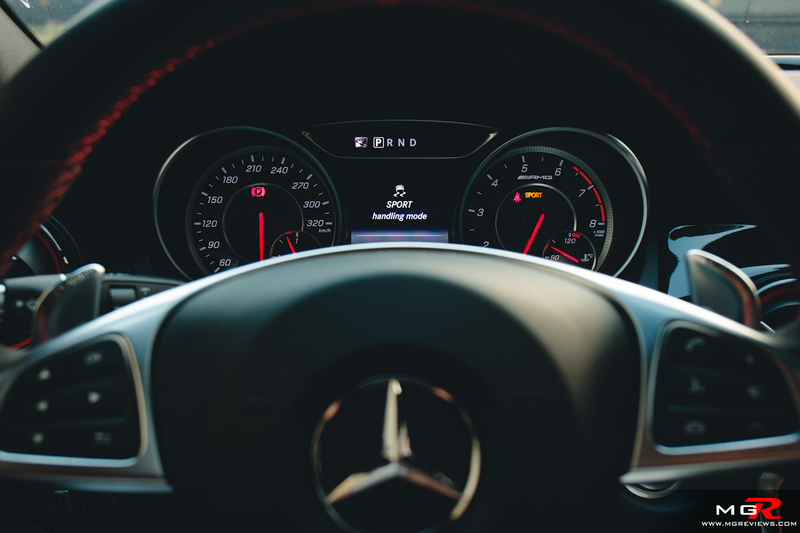 The GLA45 AMG also has different stability control settings. Normally it’s on all the time but put the drive mode in “Race” and it allows for a bit more rotation of the back end through corners. You can also turn it off completely but this being a Mercedes I’m not sure it’s actually completely off. Ride Comfort – This being an AMG you’d be forgiven for thinking that the suspension is as firm as sitting on a pile of rocks. But the Mercedes GLA AMG is actually quite comfortable for what it is. Yes, the suspension is on the firmer side but you can still use the car on a daily basis without getting tired from a jarry or bumpy ride because it doesn’t feel that way. The seats are comfortable for shorter drives and they do have mechanical thigh extensions but I find the padding a little on the firm side. 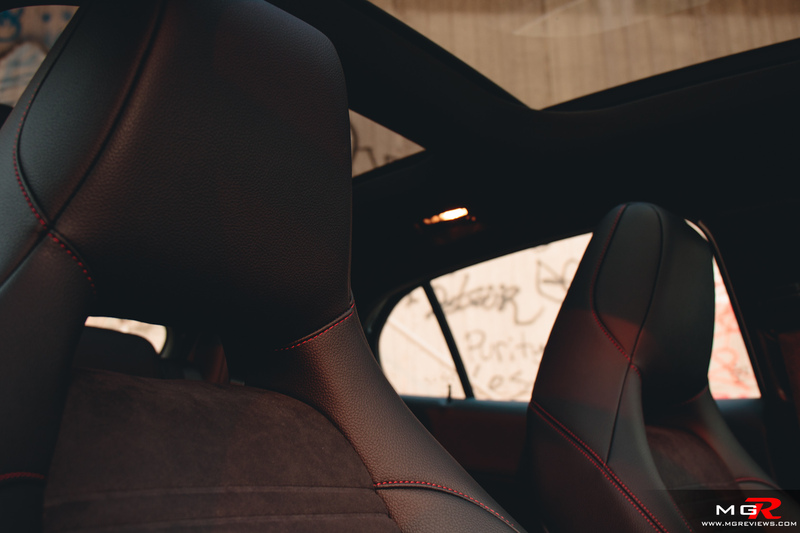 Also I would personally opt for the optional AMG Performance seats as the standard seats don’t provide a lot of side bolstering when driving enthusiastically. 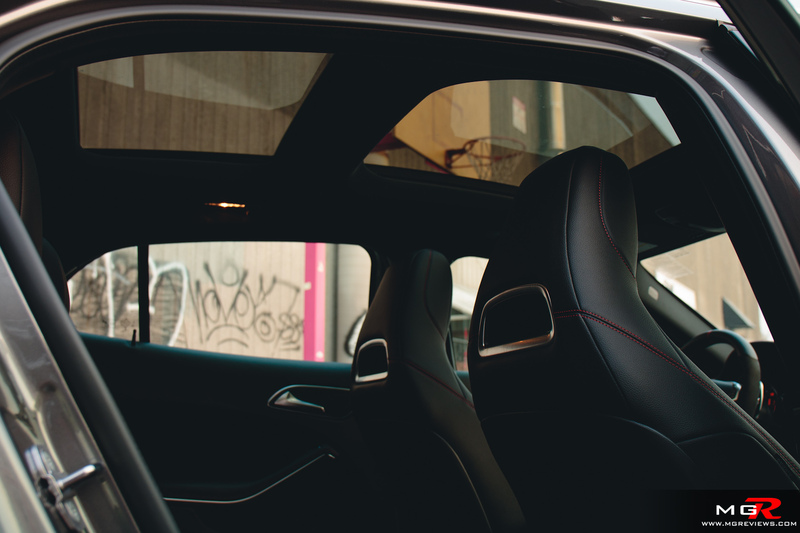 Taller rear occupants will find that there is not a lot of legroom but headroom is just enough. 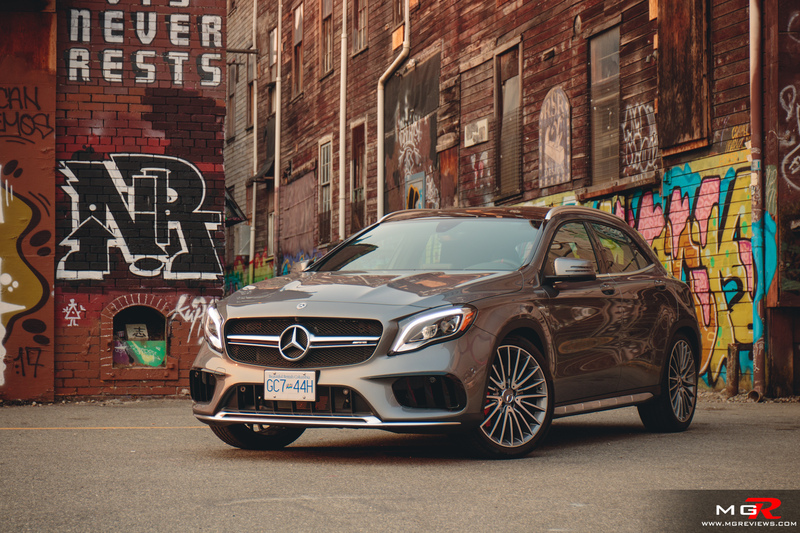 Noise, Vibration, & Harshness – This is where the GLA45 AMG gets a chink in its armour because it is noisy inside the cabin. On highways, there is a lot of noise coming from the tires. 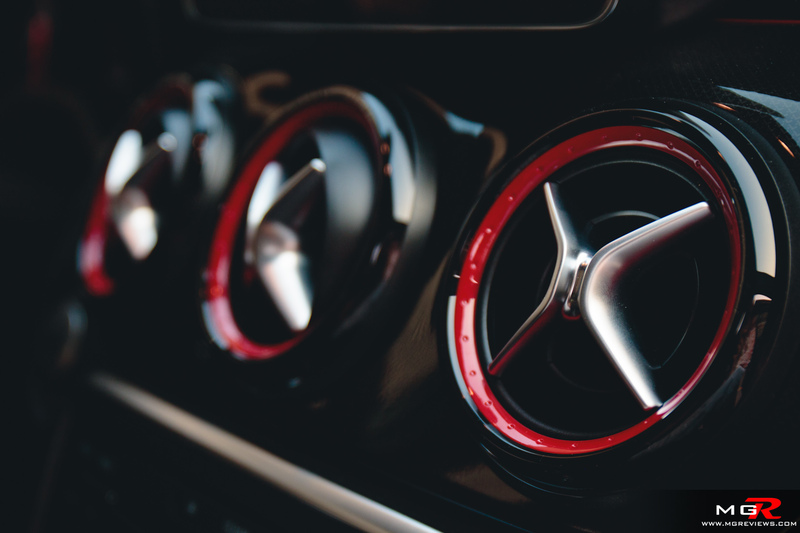 At certain rpms when accelerating, the exhaust sends vibrations through the car that make some of the interior trim pieces buzz and squeak. 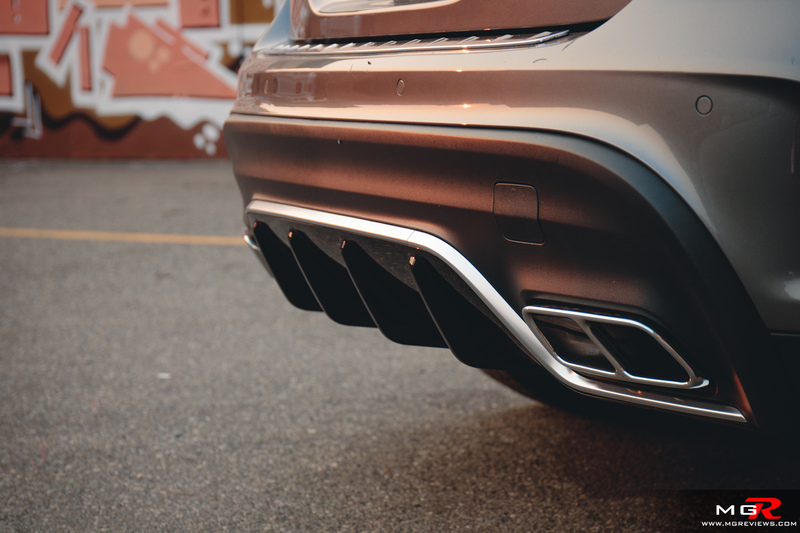 Yes, it is an active exhaust that can be made louder or quieter but even so, there’s a certain resonance that makes the trim pieces buzz. 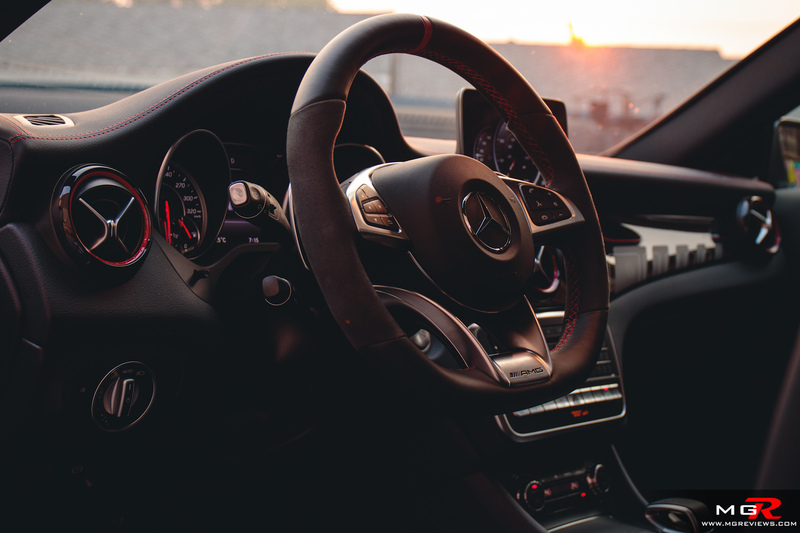 Interior Design – As of late, Mercedes-Benz vehicles have been coming out with some of the best looking interior designs on the market. 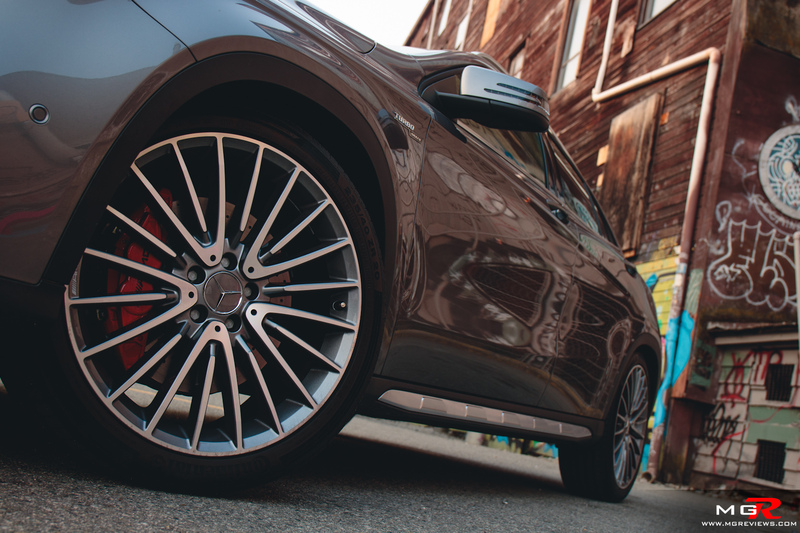 The GLA45 AMG has a nice looking design with a splash of red just to let you know that you’re in a sporty car. 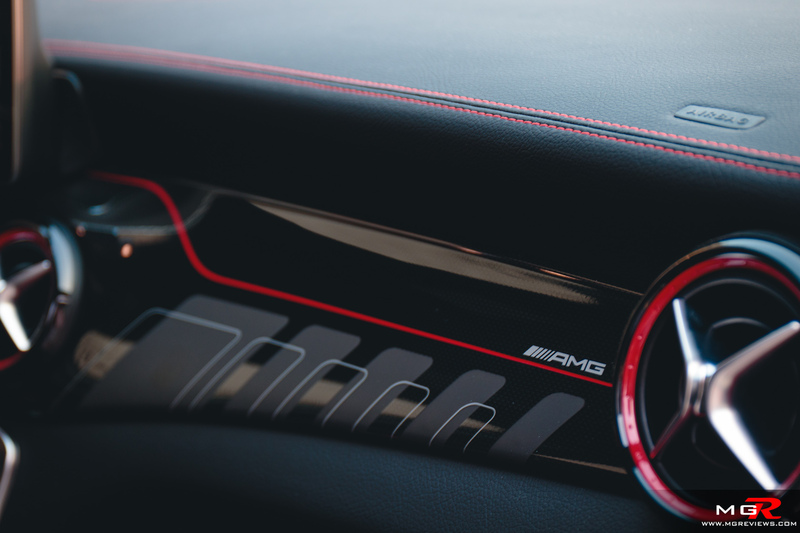 While on the surface it may look like premium materials, and some of them are, others don’t feel so premium to the touch like the faux carbon fiber piece along the dashboard or the plastics along the lower part of the center console. 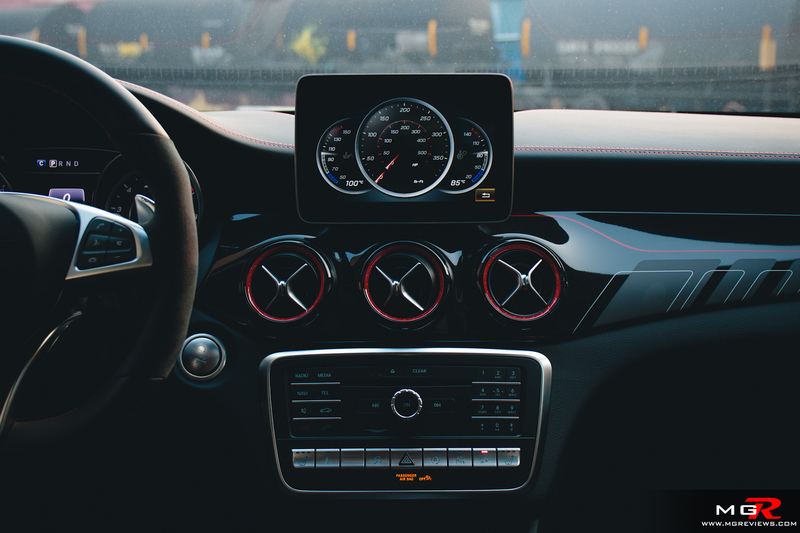 Overall it’s an ok place to sit and look at but don’t expect a GLE class interior. Gadgets – With a base price of $52,300 CAD, you’re mostly just paying for the blistering performance and not much else. Navigation, keyless entry, Apple CarPlay and Android Auto, Parking assist, 360 camera system, panoramic sunroof, and so on are optional extras. This demo model is not fully loaded but it still breaks the bank at just under $64,000 CAD before fees and taxes. It can get expensive but if you’re not interested in all the “fluff” and just want the performance, leave the options list empty. 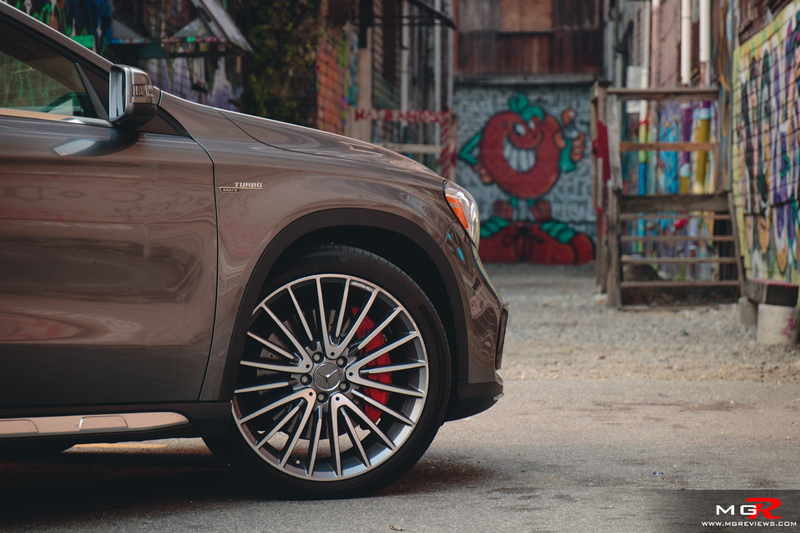 Exterior Design – It’s a weird car to look at because from certain angles in pictures, it looks like a high-riding crossover. In person, it looks more like a hatchback. 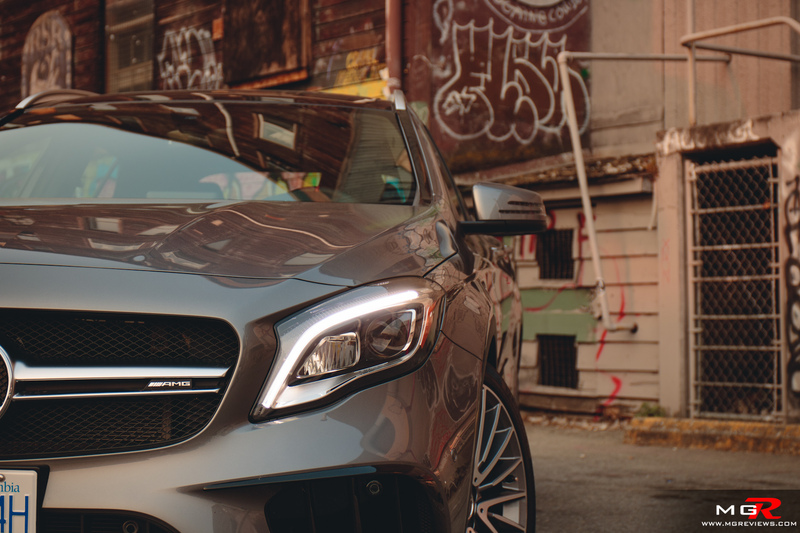 While the AMG pieces do make it look more sporty, it’s a subdued styling. 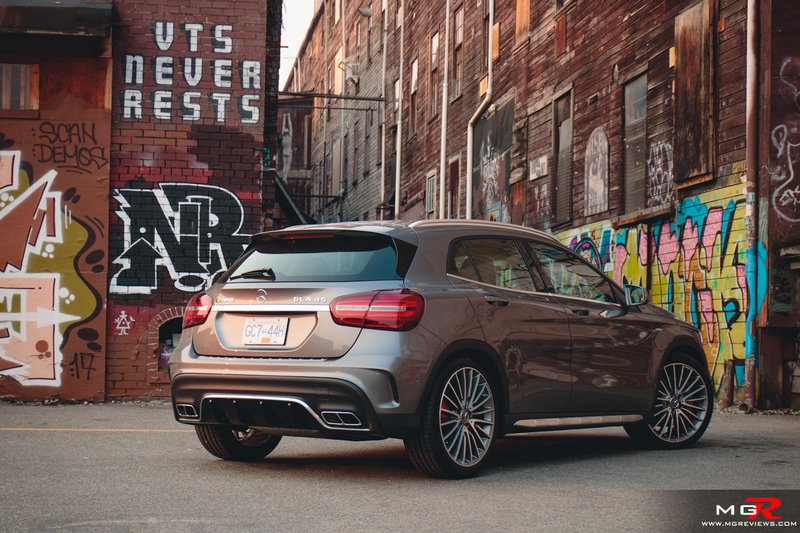 If you don’t want the attention, then it’s a perfect hatchback for you. If you do like the attention, the Honda Civic Type-R may be a better choice. Or order the GLA45 AMG with the Aero package in the “Kryptonite” green paint. That’ll stand out a bit more. 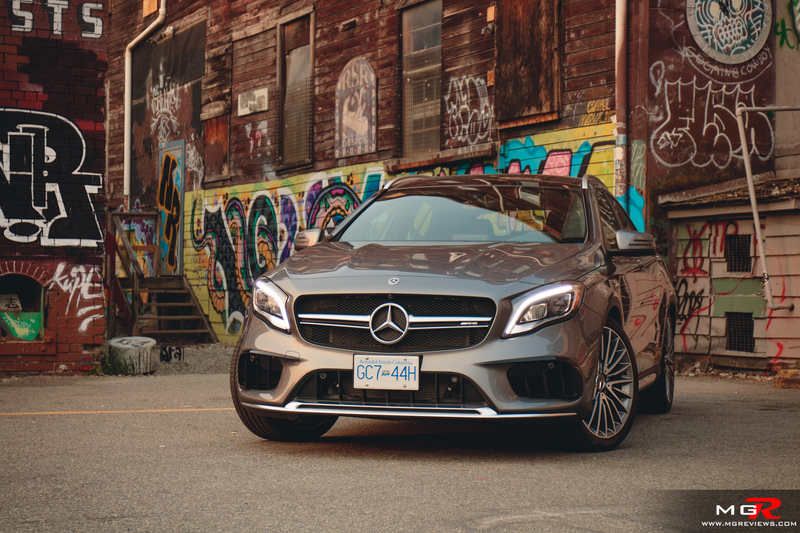 As mentioned earlier, the base price of the 2018 Mercedes-Benz GLA45 AMG is just over $52,000 CAD which is quite reasonable for a 375hp car. After dealership “fees and markups”, the Civic Type-R can easily reach $50,000 CAD and the Focus RS has a starting price of $59,000 CAD. 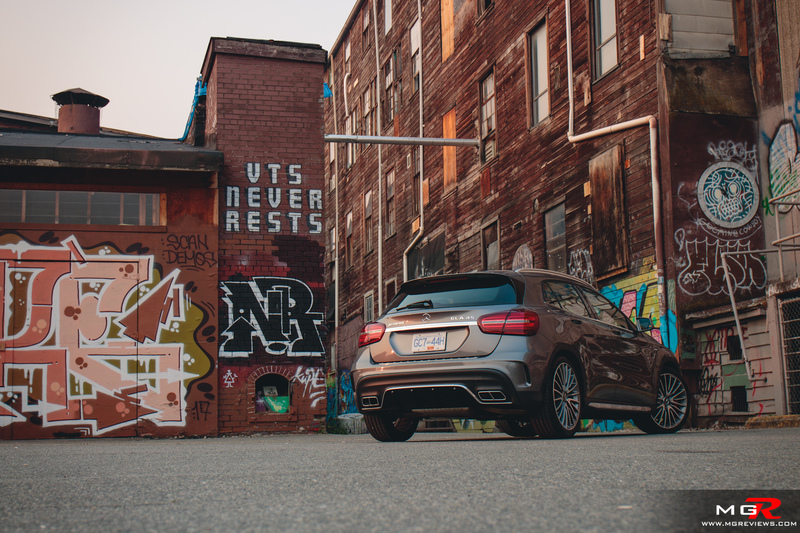 Ignoring the slightly squeaky interior and the featureless base trim, the Mercedes GLA45 AMG is easily one of the best year-round, everyday performance crossover/car on the market right now.